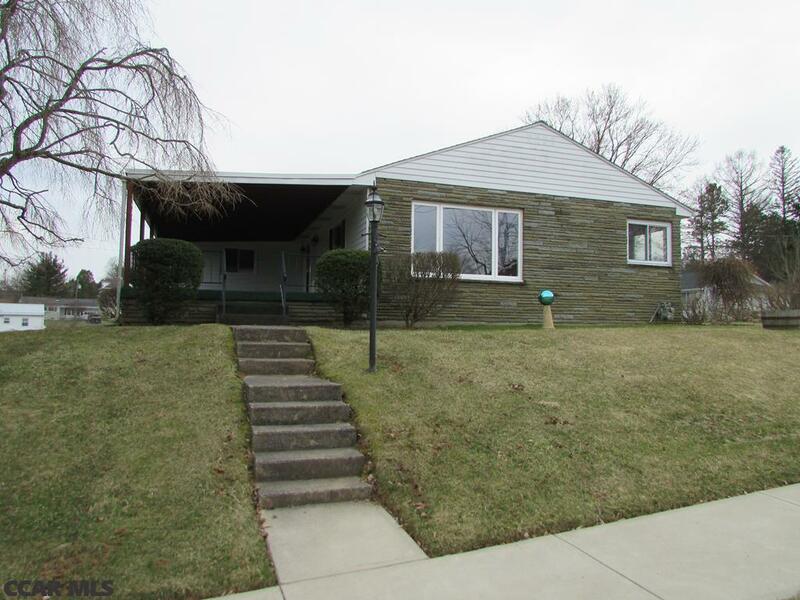 Move in to this impeccably maintained ranch and make it your own. It's truly a blank slate with freshly painted walls and newly, uncovered hardwood floors. Enjoy the serenity of the quiet, "no outlet" street as you sit by the large, all stone fireplace, or as you relax outside on the covered porch with views of the rolling landscape. The finished lower level offers many opportunities for expanded living area, an additional bedroom, or a potential guest suite with it's own entrance. A detached, two-car garage provides parking as well as additional storage space. Enter through the side door, off of Simpson St. Directions: E Bishop St. To Wilson. Right On Curtin St. House Is On Corner Of E Curtin St. And Simpson St.